Golden mussels defeat piranhas and were considered as the deadliest creature of the Amazon river now. What do you think about this? Amazon river as we all know has long been a home of the most population of underwater species. However today, it has been continuously in danger, not by human and machines, but by this tiny freshwater mussel. Well, scientists discovered that these species of mussels called golden mussels is becoming a massive threat to Amazon river. Since its first arrival in Amazon waters, it has already changed the food chain, killed some of the existing inhabitants, and clogged water pipes. These golden mussels are actually known for releasing toxins which can cause toxic algal bloom, a condition where it can severely lowers oxygen levels in the rivers, thus killing the fish. The amazon river is in danger. Thus, a great number of fish is really in danger if the golden mussels would live together with them in the same water or river. According to Good Times, Demetrio Boltovskoy from University of Buenos Aires warned that the mussel can reach house water pipes any time from now. He has studied the golden mussel for 20 years and realized the potential threats it can give to the ecosystem due to the mussel’s flexibility and vitality to live in any water temperatures, salinity and acidity. The mussels actually originated from China and made their survival way to Argentina by attaching themselves to the ship in 1990’s. And soon populated Argentinian rivers. 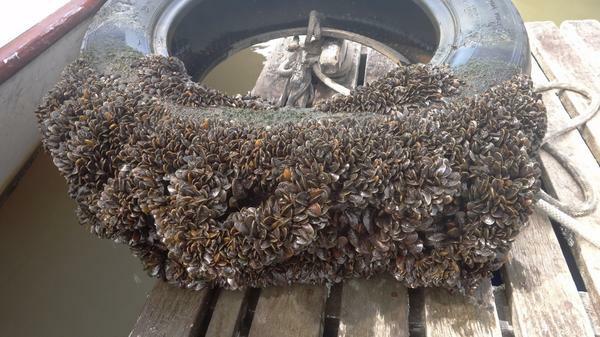 Rebelo believes that the study will provide better solution to stop the mussels’ population than to just put poison in rivers that may endanger other fish species, as the mussels are capable to detect poison and shut their shells for weeks and still survive. And according to Nature World News, current strategies for keeping the mussel out of the Amazon include widespread education, inspections, and regulation – such as requiring fishermen and other ships to empty their ballast before heading onto the river. In this way, the chance of an unwelcome hitchhiker making it to the Amazon is reduced. However, experts are still on going of the best solution that they could have regarding these golden mussels.